Carbonization is a thermo-chemical process. It allows transforming structured molecules of wood, and cellulose products into coal and carbon. 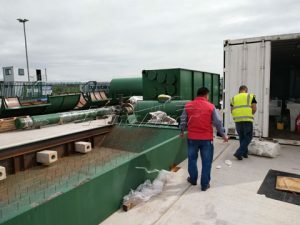 Carbonization is obtained through the elimination of water and volatile substances from the vegetal matter, due to the action of heat in charcoal pile. It is a process for gaining renewable sources. We all know green plants utilize chlorophyll to transform carbon dioxide and water into glucose by photosynthesis and store light energy in it. Then group glucose with starch, cellulose, hemicelluloses and lignin to form into the substance of plants. We can comprehend that so called biomass is the general name of all the organism generated by photosynthesis, including plants, crops, forest products, marine products(various seaweed) and municipal waste(paper, natural fibers) and so on. Therefore, biomass is the important renewable resource featured with huge amount and wide distribution. 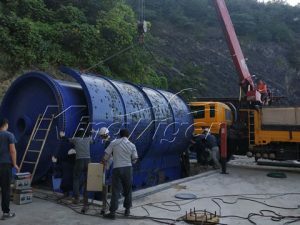 Biomass carbonization plant which is produced by Kingtiger GT is all equipped with high-efficient and energy-saving environmental-friendly equipment. 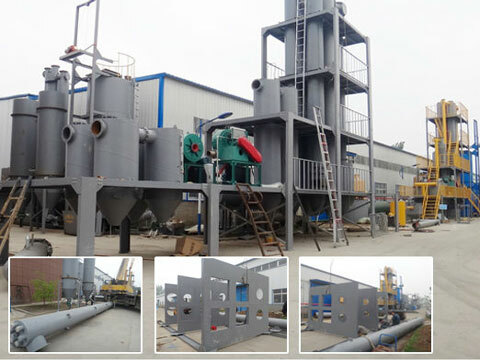 This variety of environment machines is applicable to the carbonization of sawdust, rice husk and other small biomass and applies advanced technology to avoid bringing in harmful gases and polluting environment. The final product is artificial carbon, which owns fixed higher carbon content (about 90%). Compared with the general coal, it is about twice its carbon content. Our equipment adopts double-layer design, which can make the lower part of the machine contact the hot air as much as possible; meanwhile, this design is helpful to raise the heat utilization efficiency from the beginning. There are three times to make maximum full of heating in the whole process of operation, so the temperature of the emission gas is below 100 centigrade and the heat use ratio of our equipment is over 85%. 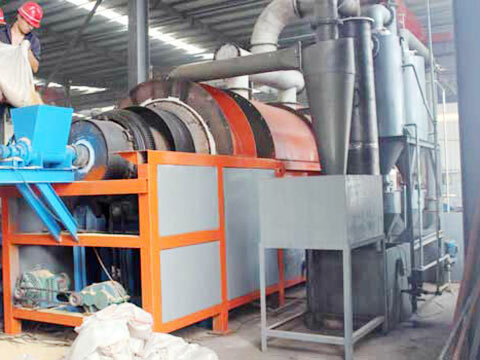 What’s more, biomass carbonization furnace adopts one fire two step method, which is the only in the world. 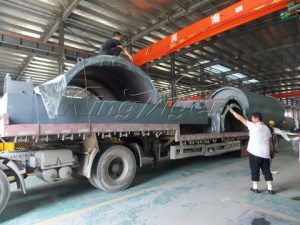 At present, Kingtiger is the top-class manufacturer for waste to energy machine. There is no other technology equipment could be mentioned with us in the same breath. 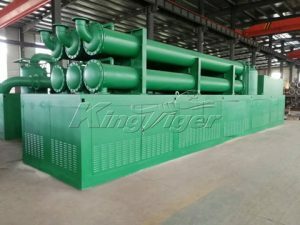 Biomass Plant from Kingtiger mainly includes coconut shell carbonization furnace, rice husk carbonization furnace, straw carbonization furnace, palm shell carbonization furnace. This kind of plant could help people to make full use of the crop waste and extract useful materials. The smoke abatement and desulfurization steam will be cooled by the condenser and led to the recycle water pool. Initial phase mainly depends on the heat produced by burning raw material, which rises the temperature of furnace to between 160 and 280 ℃. In this moment, raw material begins to turn out thermal decomposition. The most suitable temperature is between 280 and 400℃. 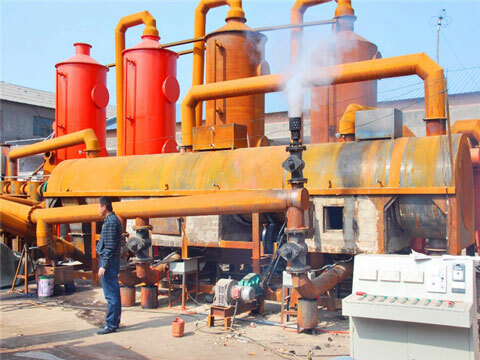 During this stage, raw material starts sharply thermal decomposition and destructive distillation to charcoal with high temperature. After the process which includes high temperature pyrolysis, volatile gas, sulfur emission, carbon enrichment of garbage disposal technology, the end product we get is artificial carbon which owns fixed higher carbon content (about 90%), Compared with the general coal, it is about twice its carbon content ( usually fixed carbon content of coal is 55% ). Besides, it is a new type of high-grade fuel with good flammability, while some biomass after carbonization has very strong activation (it can be activated up to 75%), There is no doubt that it is an ideal material for manufacturing activated carbon. Activated carbon can be processed by our carbon black processing plant to get fine activated carbon. In agriculture, biomass carbon owns characteristics of improving soil, promoting soil aggregation, regulating the microbe in the soil. Moreover, biomass is capable to reduce heavy metal content. In industry, charcoal, coconut shell charcoal and palm shell charcoal are indispensable for making activated charcoal. Sawdust carbon and other biomass carbon can be utilized in smelt. Wood coal is traditional barbecue charcoal. Easy operation, labor saving and no risk. Environmental-friendly with unique smoke decontamination equipment. High output rate and efficient. 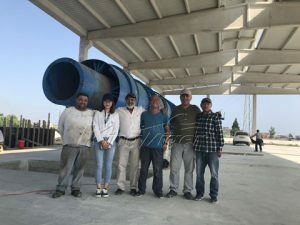 Otherwise, in order to reduce investment cost of our customers, and to achieve the zero release in the whole carbonization process, Kingtiger has researched and developed a new type of biomass gasification system, which is equipped with carbonization plant. This gasification unit can institute the fuel of coal, natural gas, to heat the carbonization plant at the beginning stage. 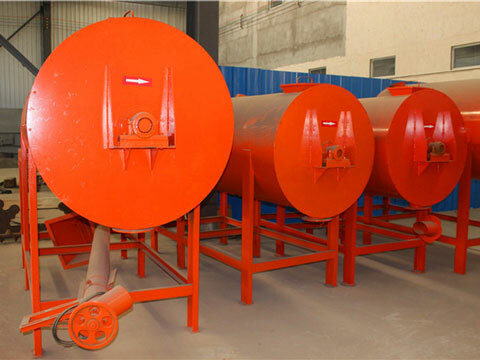 In concrete terms, firstly, combustible gas comes from biomass gasification power plant, and then they will be sent into the carbonization equipment for heating at the initial state. Fuel of this gasifier is biomass materials such as rich hull, wood, palm shell and sawdust. The gasification machine can be turned off, when combustible gas sourcing from carbonization equipment can meet itself for running. 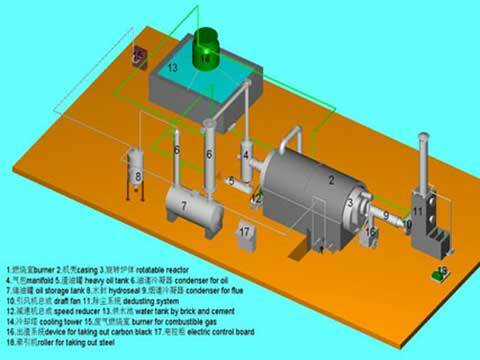 This gasification system can save energy, and reduce the investment cost. 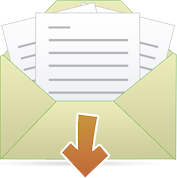 Rapid and earnest response to your inquiry. Technical data and competitive price provided. Factory visit and trial for you. Free plan for your site and project. Reasonable suggestion with shipping freight. Supervise manufacturing to guarantee high quality. Engineers will be sent to your site for the installation, testing and training the workers. Periodical call visit to make sure there is no problem of the equipment or find the problem timely and solve it immediately. In addition to this, there is another type of sludge carbonization plant in Kingtiger.